An all-in-one overdrive with maximum control over your tone. 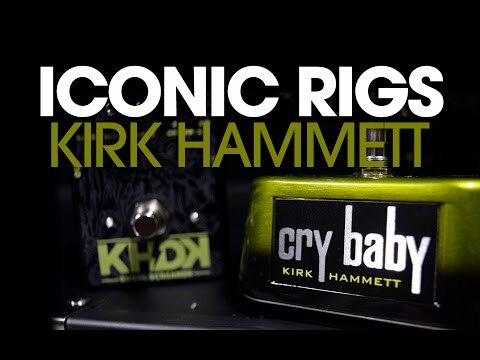 Conceived in the dark depths of Kirk Hammett’s mind, an iconic circuit has been pushed to perfection and equipped with 5 switches to give you the ultimate control over your tone. 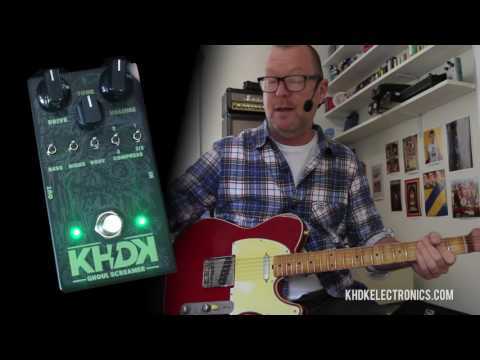 "You’ll be hard pressed to find a more versatile overdrive." The Ghoul Screamer is a multipurpose pedal, a true utility knife of overdrives. 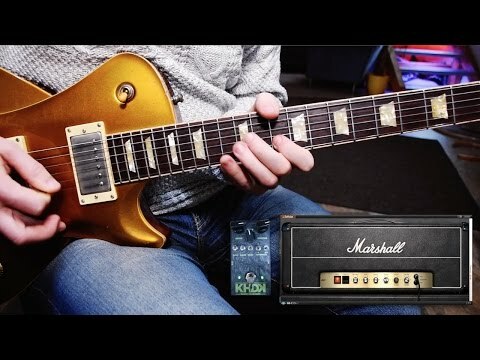 The dramatic versatility of the controls spans from a clean boost all the way to a massive overdrive. 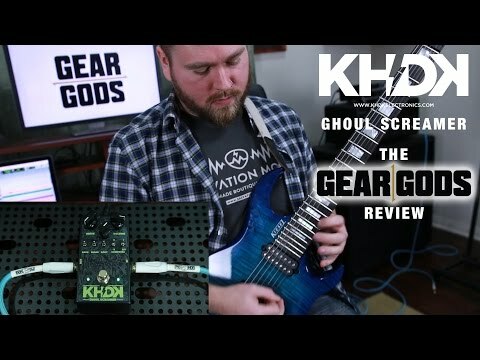 "When it comes to boosting and tightening up metal tones, the Ghoul Screamer is among the best TS-alikes we've used." 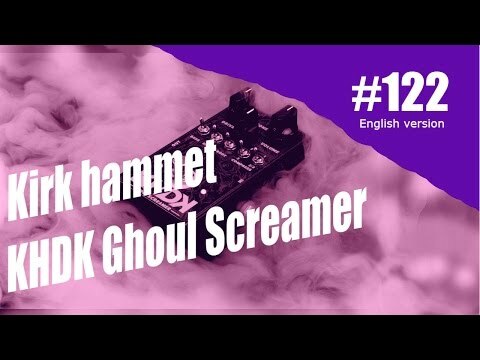 This hugely enhances your sound palette and elevates the Ghoul Screamer to the highest class of stage and studio gear. 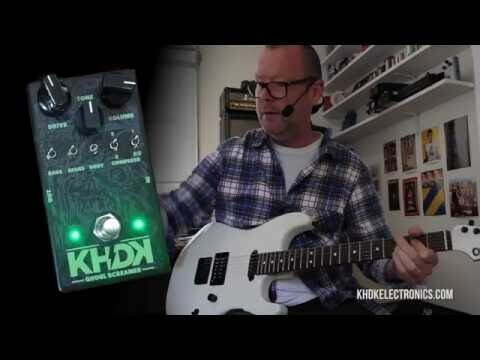 The ghoulish face on the pedal's enclosure was created by San Francisco's tattoo artist Tim Lehi. 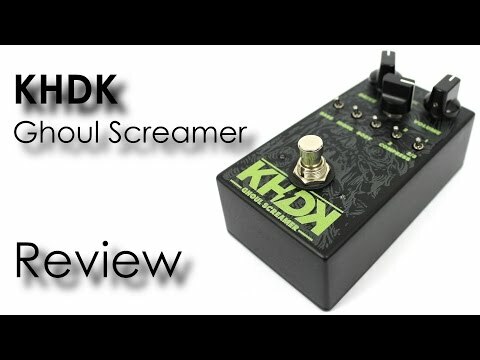 Like all KHDK pedals, the Ghoul Screamer is proudly crafted and quality-tested in Kentucky, USA. 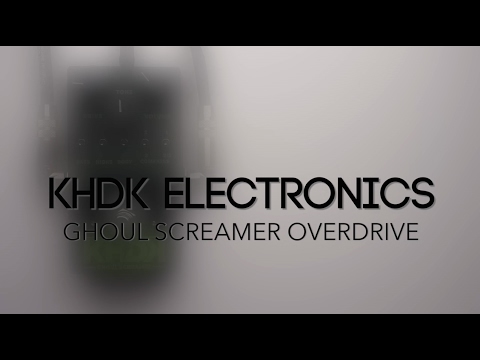 The KHDK Ghoul Screamer is powered by a single 9V battery. 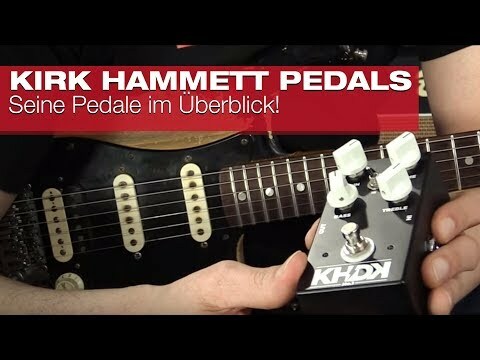 You can access the battery connection by unscrewing the bottom plate of the pedal enclosure. Alternatively, plug in an external 9V DC (center negative) power supply. 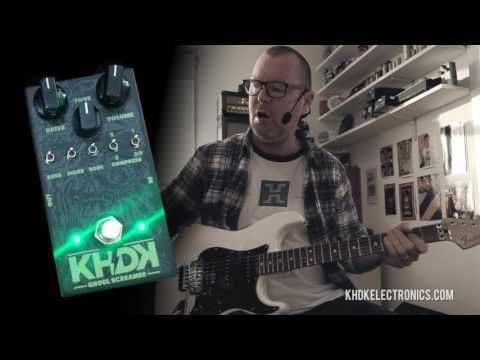 "Extra control options make this one of the best classic Ibanez Tube Screamer-style pedals." "It's rare to come across a pedal quite so instantly gratifying." "It's a potential lifesaver in changing backline situations." 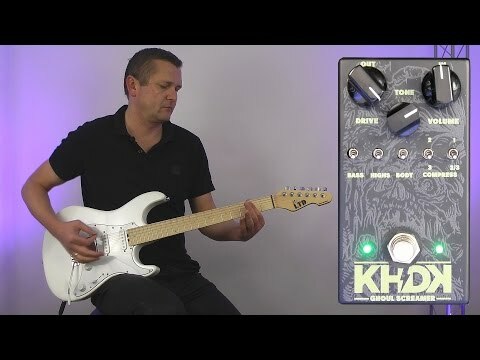 "There are comparisons to a “Tube Screamer on steroids,” but it’s more akin to a “Tube Screamer that’s actually a Skynet T-800 Terminator. 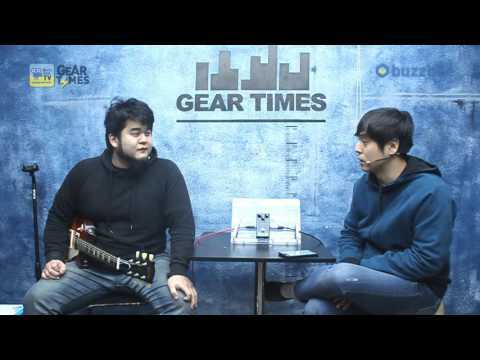 Great sound, excellent gain selection." 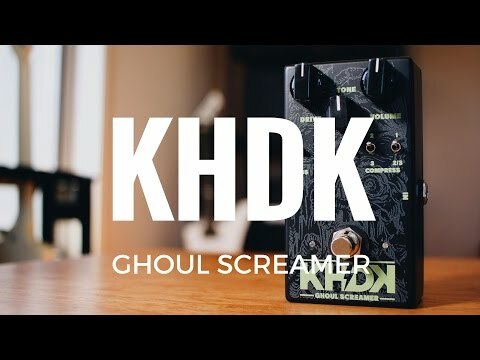 "Gold Award for Ghoul Screamer – It's a very versatile variation of the popular three-knob Screamer-style overdrive." 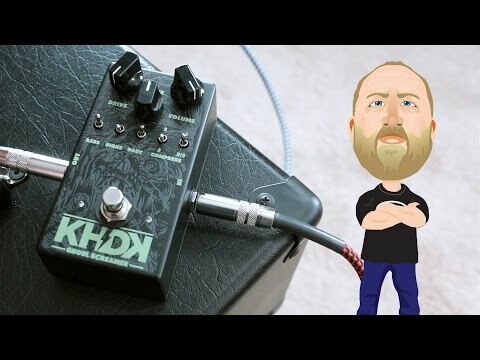 "If you're looking for an all-in-one overdrive that will give you maximum control...you might just find what you’re looking for." 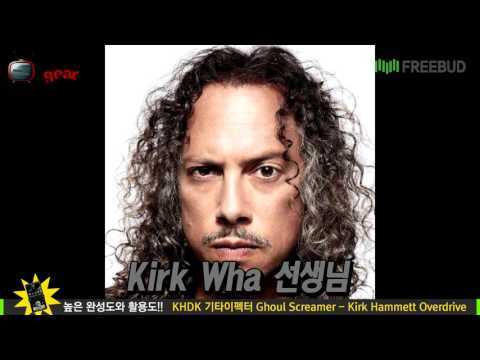 "The Ghoul Screamer should be judged on its merits -- and those are simply fantastic. It is the Swiss Army Knife of 808 homages." 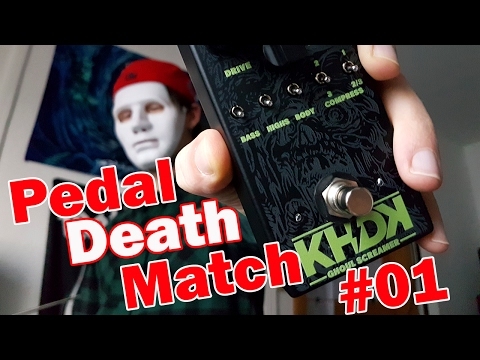 "Damn…I have tried No.1, Ghoul Screamer and Abyss...they sound way better than in videos!" "Unlimited options of versatility and unparalleled construction...truly made for the road and studio!" "It was my main overdrive for the Joanne tour. 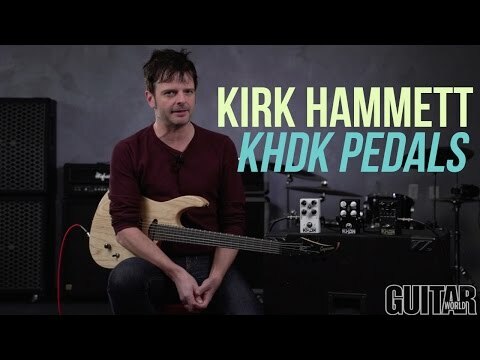 Super tweakable and customizable to the guitar and amp you play, tons of tone shaping options." 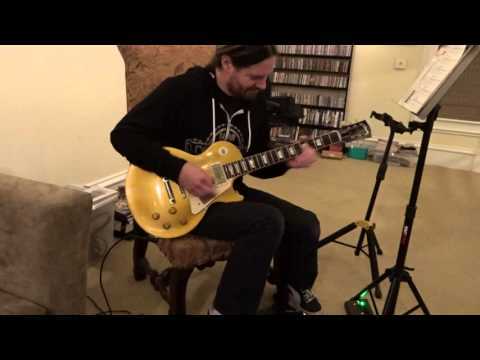 "I pretty much played it out of the box with a few adjustments and got the sound I've been searching for in the last years!" "This is next level innovation. None higher." "KHDK has harnessed the bite I've been searching for! " "It gives me everything I expected...the switches for playing around with bass, mid and high and for 2 compressors are a great solution. 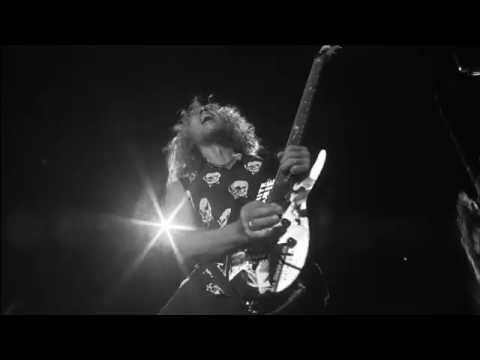 The sound is juicy with a noble tone." "I should have had the Ghoul Screamer 20 years ago, my sound and playing and life would be better." "Smokes every TS I've ever played... and I've played them all." 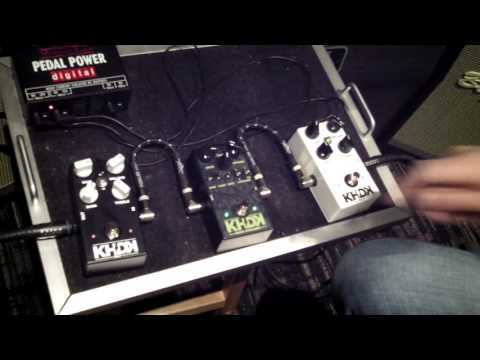 "Massive sounds when placed in front of my amp. Highly recommended!" 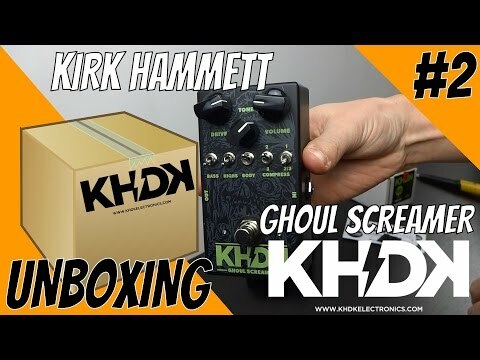 "You can either become a collector of all the tube screamer versions with the usual modifications...or just get yourself a Ghoul Screamer." 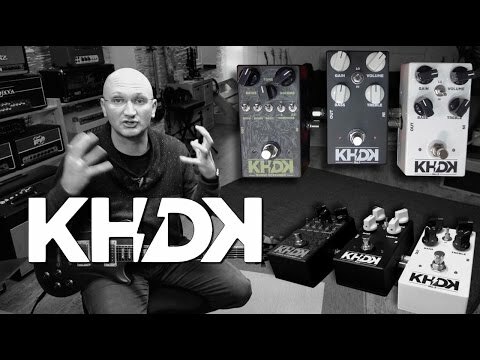 "It's a tube screamer on steroids." "The key to an aggressive yet super clear sound."